PST Sport have tailored our artificial grass surface installations to meet the needs of the modern day gym facility. As personal fitness continues to grow in popularity we have developed our Gym product to deliver state-of-the-art grass areas to gyms across the UK and Ireland. Our PST Sport artificial grass is ideal for exercises such as prowler training as prowlers can naturally glide across our surface and avoid getting stuck as they would on a rubber floor. Our smooth gym grass also enhances training experience by allowing the athlete to work at speed without the friction of other gym floors. 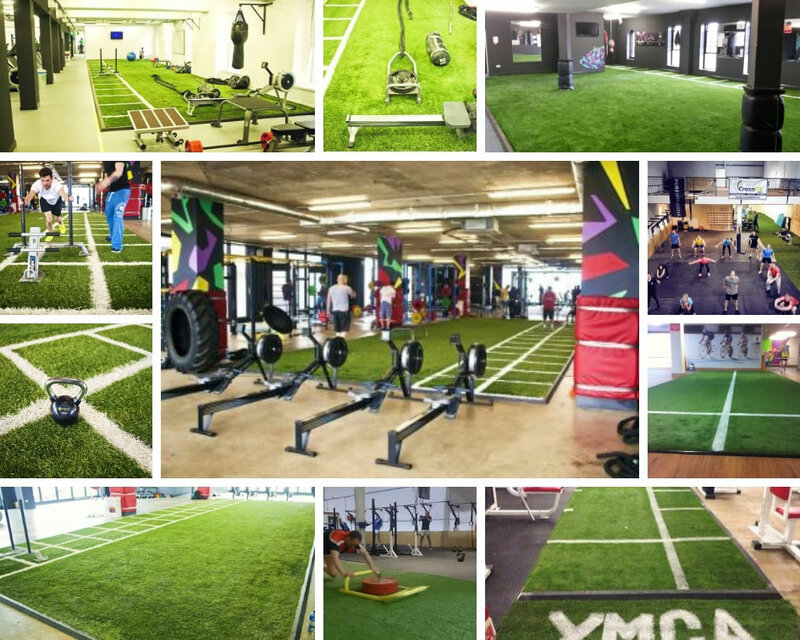 Other activities such as pulling sleds and training with tyres would normally be regarded as outdoor activities but PST Sport artificial gym grass means that your gym can offer an indoor and therefore year-round facility for these strength and power building sessions. PST Sport will guide you through every step of the process from design, planning, installation and maintenance. Your artificial grass functional zone will greatly add to existing members training experience and in turn will allow you to attract new customers. Pictured below: Recent gym installations by PST Sport. Our high quality, hard wearing artificial grass can transform any training space into a fun and challenging work out area. If you have a project in mind, we would love to hear from you. Click HERE to get in touch.